Its advances in medical technology have saved lives around the world, including that of former U.S. Congresswoman Gabrielle Giffords—an emergency medical team applied a revolutionary elasticized bandage developed in Israel to her head wounds. 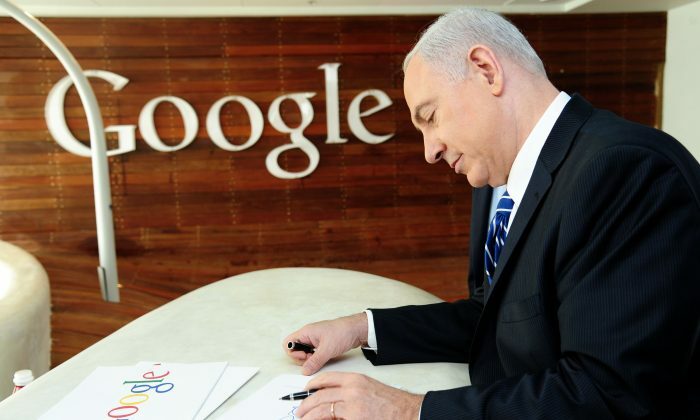 A few weeks ago, Google acquired the Israeli online mapping service Waze for $1.1 billion. The acquisition recalls the 1998 deal in which America Online bought the instant messaging program ICQ from Israeli startup Mirabilis for about $400 million. ICQ gained great popularity. Some 63 Israeli companies are listed on the NASDAQ, more than those of any other country. In Israel, 140 people out of every 10,000 work in research and development—a considerable lead on the United States, which comes second in the world with 85 people per 10,000. Israel has more tech startups and a larger venture capital industry per capita than any other country in the world, according to The Economist. So how is it that one of the world’s smallest countries is producing some of our most important inventions? Rosen said the answer isn’t simple, yet she said the country’s largely immigrant population and the Israeli Defense Forces (IDF) have something to do with it. Rosen noted that many of Israel’s 7.2 million citizens are immigrants from more than 70 nations. At the Jerusalem Press Club, Rosen also cited the nonconformist IDF environment as one of the reasons for Israel’s success. In Rosen’s book, she explores the success of 21 Israeli inventions, including IceCure’s technology. IceCure’s development is an example of an invention that builds upon, or improves, existing technologies. Himmelfarb explained the development of IceCure. It all began in a research incubator in 2006. Scientists started with the method of freezing a breast tumor using high-pressure, cooled gas. This method had been used since the 1980s, but required full anesthesia and risked deforming the breast. They replaced the gas with liquid nitrogen, making all the difference. It became compact enough to fit in a doctor’s office, and required only local anesthesia. The process kills the tumor tissue and “once it’s dead, the body knows how to get rid of it,” he said. According to Senor, former Palestinian Prime Minister Salam Fayyad kept a copy of “Start-up Nation” on his desk as a source of inspiration for the West Bank’s own burgeoning tech industry.